India’s stock markets haven’t been having the best time of late — the Nifty had touched a lifetime high of 11,700 in September, before crashing nearly 15% in the following months, and sectors like NBFCs and banks have also bled. But amidst all this, an unlisted stock has been doing pretty well for itself. The value of Paytm’s parent company One97’s shares have risen 60% in the unofficial stock markets, brokers have told ET. “Shares of One97 Communications have jumped from ₹11,000 to ₹18,000 in just six months after Warren Buffett’s firm invested,” said Sambhav Aggarwal, director, ARMS Securities, a New Delhi-based firm dealing in unlisted shares. Rajan Shah of Mumbai-based 3A Capital Services too confirmed deals have happened at around Rs 18,000 this week. “The share price of Paytm’s parent company jumped only after Berkshire Hathaway bought stake in the company,” said Narottam Dharawat, a Mumbai-based broker who deals in unlisted shares. “The shares are currently trading between ₹18,000 and ₹18,200,” he added. In August this year, Warren Buffet’s Berkshire Hathaway had put in $300 million into Paytm, making it the companay’s first major investment in India. Warren Buffet is arguably the best-known investor in the world, and is considered to be a bit of a legend in Indian stock markets as well. 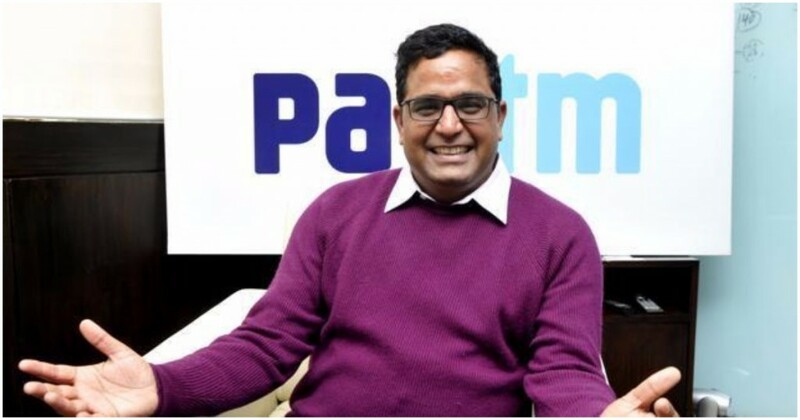 His endorsement appears to have raised the demand for Paytm’s stock, and subsequently raised its prices. Unlisted stocks are traded by select brokers, which usually acquire the shares from employees or investors. The prices of these stocks don’t change as regularly as those of listed stocks, but update each time the stock changes hands. Over the last 6 months, Paytm’s unlisted stocks have been trading at Rs. 18,000 compared to Rs. 11,000 earlier, implying that its valuation could’ve increased by 60% over the period. As per the unofficial market, Paytm’s now worth over Rs. 1 lakh crore ($14 billion). A 1 lakh crore valuation is nothing to be sneezed at. At this valuation, Paytm is valued more highly than established firms like IndusInd Bank, Mahindra & Mahindra, Bajaj Finserv, Titan, HDFC Standard Life Insurance and Godrej Consumer. Given how Flipkart is now a part of the Walmart group, a valuation of $14 billion also means that Paytm is now India’s most valuable startup. But unlike listed companies, Paytm continues to make losses. It registered a loss of Rs. 1,604 crore this year, which was double of the losses it had made last year. But traders in unofficial markets clearly believe that Paytm’s losses might be temporary, and the company could soon end up becoming one of the giants in India’s listed space. That may or may not eventually come true, but there are people out there betting real money that it will — and that might be a bigger endorsement than most awards and accolades that startups usually end up getting.